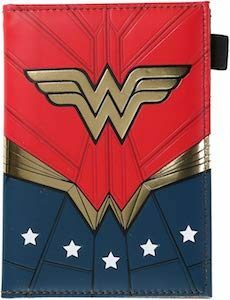 If you are a DC Comics fan that like Superman or Supergirl then this luggage tag could be perfect for you. The luggage tag is shaped like the famous logo of Superman the famous red S on a yellow background with a black edge. and on the back there is plenty of room to write your info. The Superman luggage tag is made a flexible PVC like rubber so that it is strong and will last many trips around the world in Superman speed. And this luggage tag comes in a gift box and that makes it a fun present for a Superman fan that needs to travel.